One of the major sources of funds used to support the American First Day Cover Society comes from its biannual journal/website auctions. 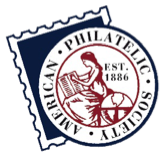 Through the generous donations of FDCs and other philatelic material from society members and non-members, these auctions have been financially successful for the society, while providing much needed additions to the many philatelists' collections. 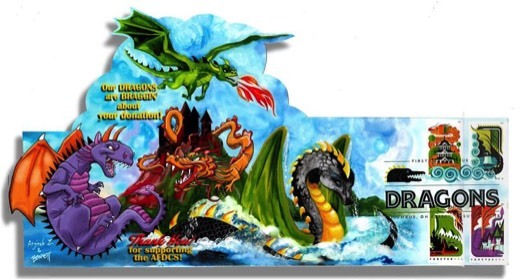 This year, we are encouraging AFDCS members and non-members to contribute to the society auctions by conducting a special 100 x 100 DRAGON CHALLENGE! We have set a goal of receiving 100 donations of $100 worth of quality, desirable material. We decided to leave the determination of 'value' to the good faith determination of our generous donors. Thus, a simple guideline would be: "Would someone reasonably pay $100 for this material?" 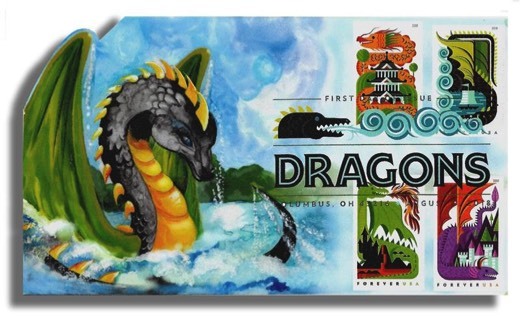 The first 100 responses to this challenge will be rewarded with a very special FDC for the set of 4 Dragon stamps issued on August 9. The cachet design will be a first-time-ever collaborative effort by award-winning cachetmakers, Argineh Zadoorian and Dave Bennett. This limited edition cover will be serviced with all 4 stamps, a digital color postmark, and will be numbered. There will be a limit of one cover per donor. As the donations are received by the AFDCS Auction Committee, the donors and the number of donations will be posted on this page. 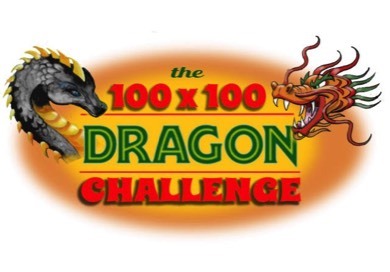 If you have donated to the AFDCS auctions in the past, we hope that you will continue your support by participating in this 100 x 100 DRAGON CHALLENGE. If you have yet to support the AFDCS auctions with a donation, please consider making a generous contribution at this time. Donations of material should be mailed to Dave Bennett, 14418 Miranda St., Van Nuys, CA 91401. Please be sure to designate your donation for the 100 x 100 DRAGON CHALLENGE. Questions regarding the Dragon Challenge can be sent to Dave at bennettoons@earthlink.net. The AFDCS Is recognized as a tax-exempt organization under Section 501(c)(3) of the Internal Revenue Code. The AFDCS tax-exempt tax ID number is 52-1411694. As such, your donation (including shipping) is tax-deductible to the full extent that the law allows. By participating In this 100 x 100 DRAGON CHALLENGE, you will feel the satisfaction of knowing that you will be supporting the most popular cover-collecting society in philately.